Sarah is basically a crazy combination of creative energy and Excel spreadsheets. She thrives on brainstorming and unique solutions. She is thrilled to join the ninja ranks!!! 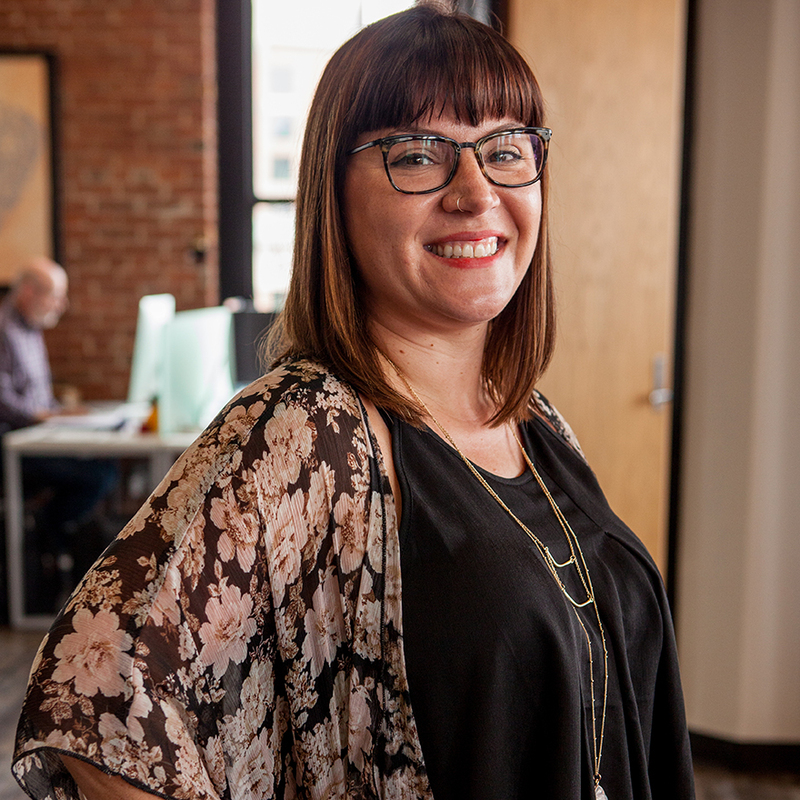 Sarah grew up in St. Louis, managing to attend schools in St. Charles, then North County and finally the South side, when she earned her BFA at Webster University. Every part of STL has its own culture and she loves it all! After graduation, Sarah moved out to Athens, Georgia for almost a decade, where in addition to falling in love with pimento cheese and an aversion to giant insects, Sarah earned her MFA in Photography and Video Art. She went on to teach at the University of Georgia and manage a sweet farm to table restaurant. Her passion for teaching and slow food could not keep her in the South forever and Sarah moved back home to STL, eager to build a home in the creative community! When she is not flexing her ninja skills here at Think Tank, Sarah works on a joint venture with her dad. From the time she was a little girl, they dreamed about opening a business together. Sarah’s move back to STL seemed the perfect opportunity and Everyday Elegance, a ultra modern photo booth business, was born. Outside of work Sarah loves to post millions of photos of her adorable son on Instagram, throw terrarium building parties, embroider curse words on pretty fabric, and go to any restaurant that has both wine and a playground. Ninjas once had a street named after them, but the name was removed at once because nobody crosses a Ninja and lives.